Do you believe in magic spells? 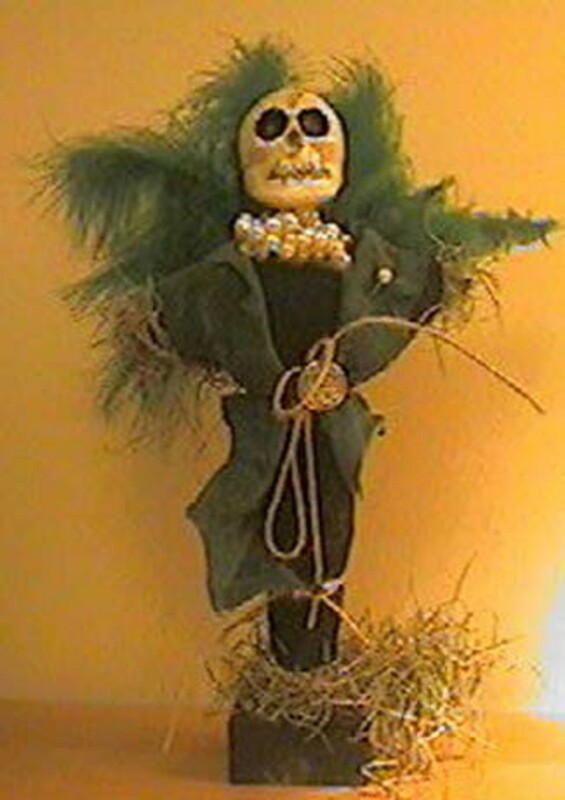 One of the most informative websites about magic spells and rituals, believe it or not, is Pinterest. It is rich with how-to blog article links, fascinating use varieties, and is home to every type of candle possibility imaginable. My personal experience has been profound. 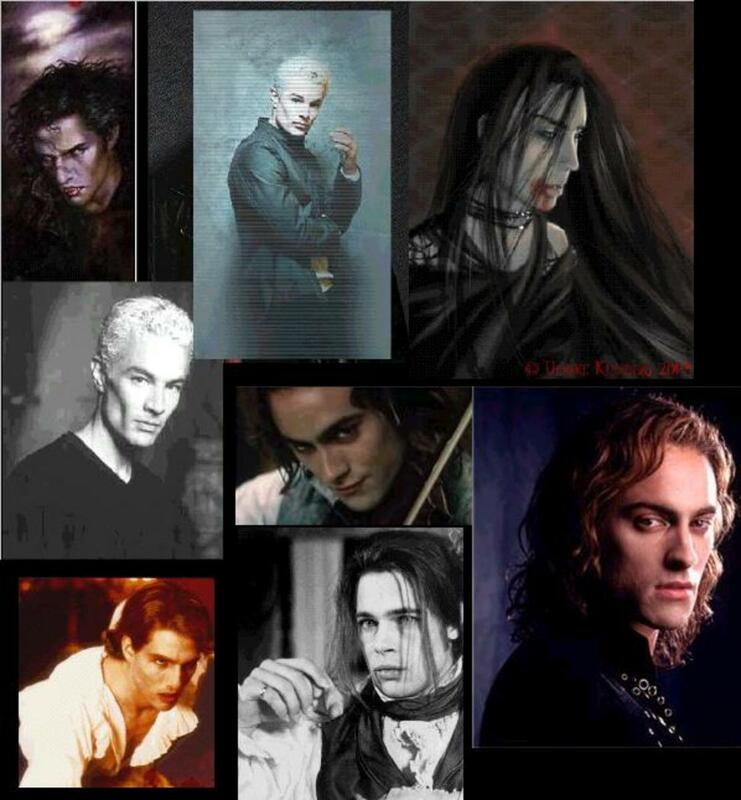 I would compare its vast library of picture boards, to a super highway express lane to higher learning and better understanding of candle magic blessings, spells, or rituals. What I like the most about Pinterest's library of image boards, is the effectiveness in creating and following boards engrossed in the art of candle magic. Among its many attributes, it simply is the single most apposite application just for saving a vast array of information surrounding this ancient art. When a candle is properly charged, it is postulated that the candle is infused with profound, formidable, energy, which is designed for a precise purpose. This specific energy is obtained through many different provinces. It is mainly clutched from within an individual's own positive or negative being, and from the elemental strength of the universe. Since this energy is specific to the person initiating charge, they are not required to be a witch, or anything else other than themself. Matter of fact, anybody can apply the calibrated strength necessary to charge a candle. Then apply its enegy to any faith, principal, or spiritual discipline. Just as long as they consciously feel it, believe it, and think it to be; from the depths of their mind, spirit, and heart. 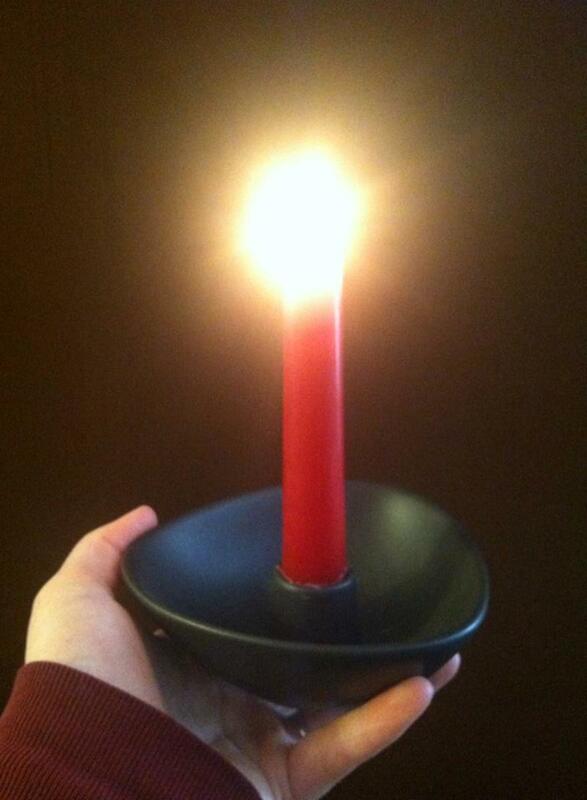 The most simplistic way to charge a candle, is by holding the candle tightly in your hands, at chest level. Since your chest cavity is consider to be the center of yourself, it is important that the energy radiating from that area, goes directly into the candle, for the strongest results. Free flowing metaphysical energy flows from the left to the right. 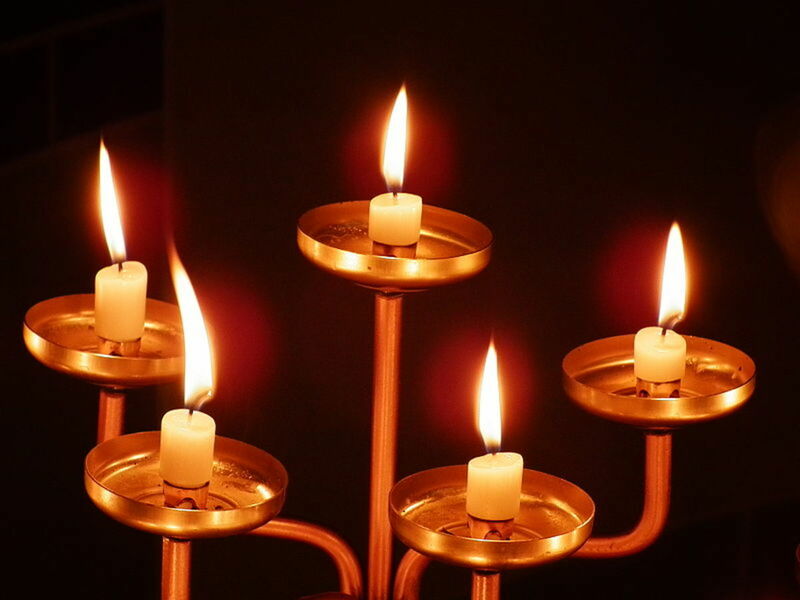 Make sure that your left hand is fully gripped around the candle at the distal end of the candle, with your right hand stacked directly on top of your left hand. 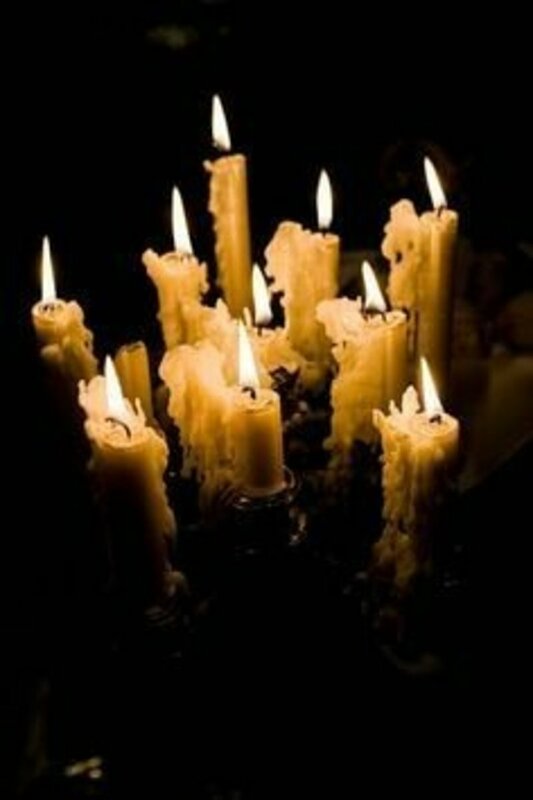 As you are embracing your candle with both hands, strongly think about the purpose you wish the candle to serve. For instance, if someone you know is ill, imagine that person healthy and strong as they once were. The power of positive reinforcement cannot be stressed enough, for it is of vital importance that the energy resonates through you, and passes through you into the vessel. Always remain positive about your intentions, while continuously imagining your desires being fulfilled. For instance, back to the sick person scenario; imagine that person up and running around, laughing and playing in the park. Mediate in this manner until you are certain that you have moved your subconscious will and thus, be reflected once the charged candle ignited. 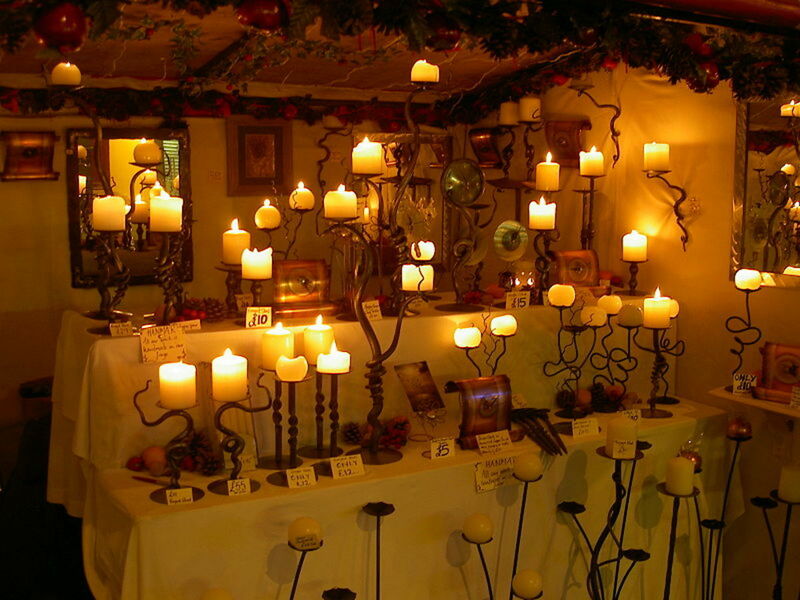 I will usually concentrate energy on a candle for approximately 10 to 30 minutes each. Depending on the need and necessity factors. Blessings for healing sickness usually requires more concentrated meditation time. Remember the old saying, "You reap what you sow." The more effort put into charging a candle, the greater the gain. To dive deeper into the individual power of certain spells, you can take charging a candle to deeper depths. Some of these advanced steps below, are to be included with at least the first initial steps listed above. 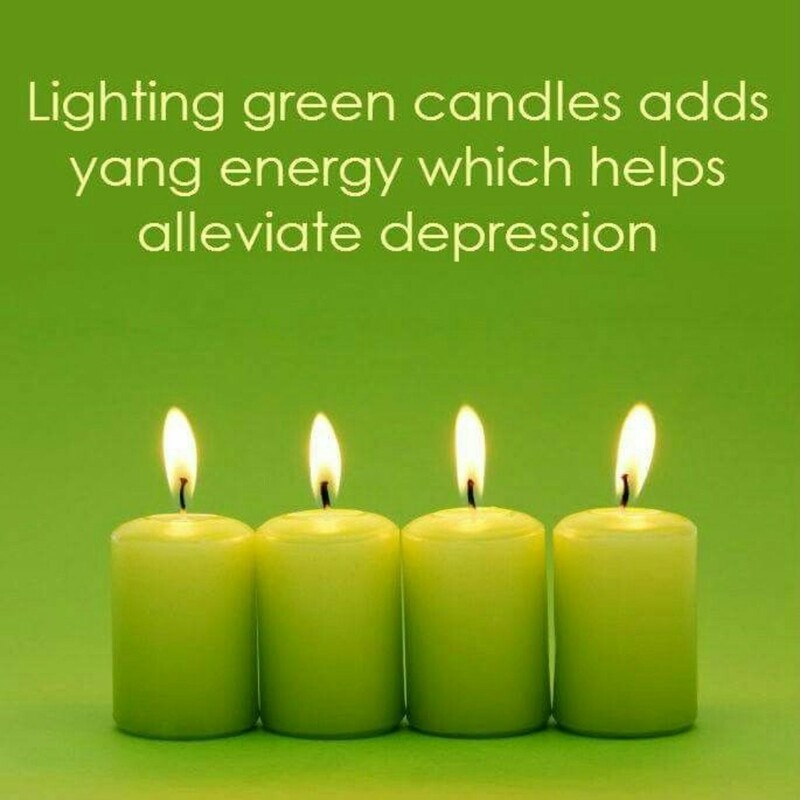 Feel free to anoint your candle in an essential oil like Frankincense (sickness), Sage (cleansing), Myrrh (grounding), Lemongrass (good digestive health), Grapefruit (weightloss or depression). 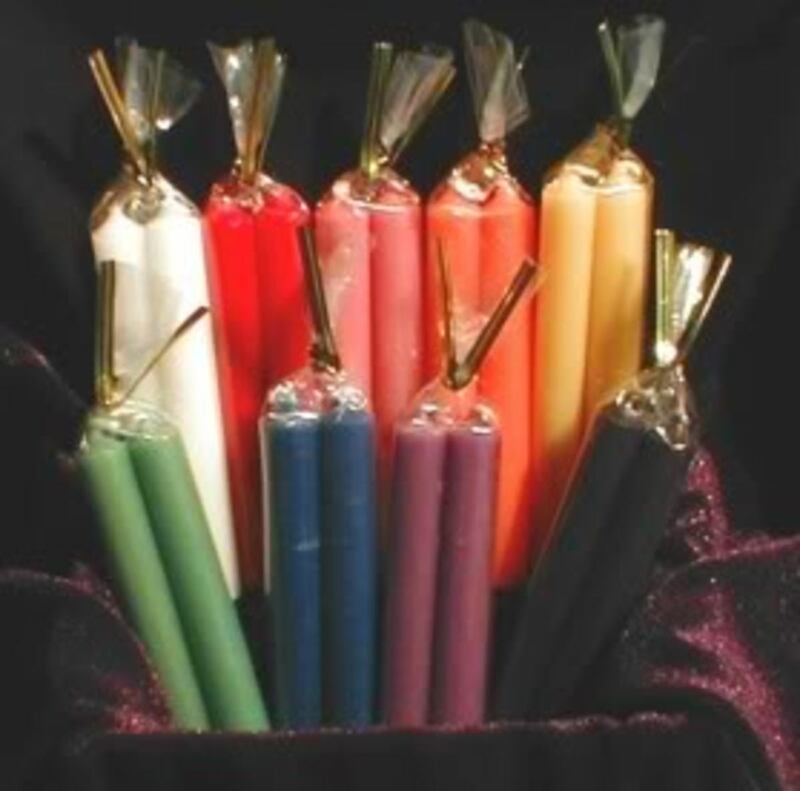 Add a planetary or zodiac charm to the candle. 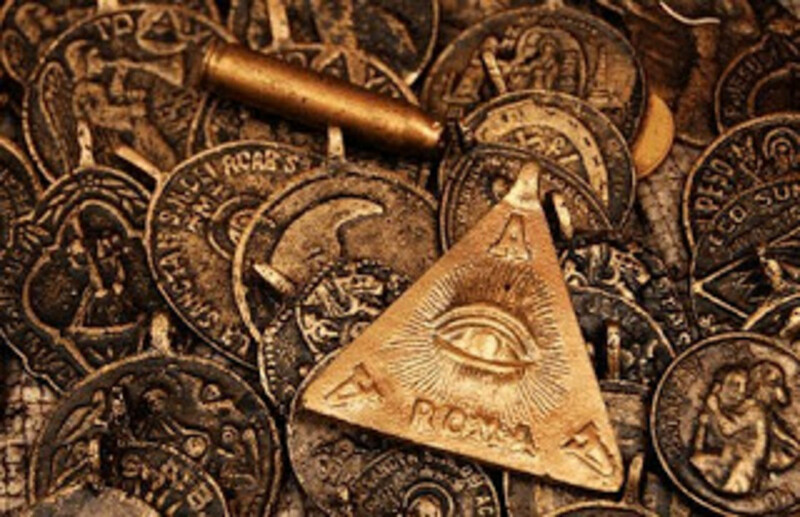 To bring out their targetory influences such as Capricorn for money, Venus for Love, Mercury for communication, Sagittarius for strength or leadership. Tie them on with cotton twine, and let them melt in to the candle as it burns down. You can inscribe symbols into the candle ie: cross, dollar sign, or peace sign to show a visual expression of the terms of what you are asking from the spell. Using small picture images, carved in names or date of births work as well. When a candle has been anointed in an essential oil, it is best to use unscented, natural, beeswax candles to start with. Confusing the wrong scents together can have an undesirable result. Chant a prayer, bible verse, spiritual mantra, spell, or ritual phrasing while meditating with the candle. For the strongest charged energy connection, mediate with the candle (needing charged) during a given moon cycle, ie: Wanning Moon Cycle, New Moon Cycle, or Full Moon Cycle. Lunar energies represent feminine elemental powers such as love, forgiveness, health, beauty, instinctive strength, seduction, and clarity. However..., moon casting and charges are very powerful. The caster needs to be grounded, cleansed, and protected. It can be exhausting to charge candles under the influential draw of a lunar phrase. Afterwards its not uncommon to have a weaking presence within one's self. I think it's the world of the unknown that intrigues me. Thanks Website Examiner. Thank you for your kindness! These kinds of topics - and I feel the same when visiting websites on magic, witchcraft and the like - have a tendency to create a sensation of awe. Even for a non-believer, who would want to ridicule such things? Probably not, there is this sense it would be imprudent to do so. These candles look deceptively ordinary. That is one way to manipulate intelligence in use of the basic elements of the principle of faith to bring about the alterations of the universe. The charging of the candle then is only as powerful as the person's ability to extend their spirit beyond their body and commune with the intelligent matter of the candle and impress upon it the desires of your heart. All of the other additional methods are meant to express the depth of your belief to 'convince' the candle that you are serious in your purpose. You know- in Buddhism and in the Catholic religion, candles are used a lot. 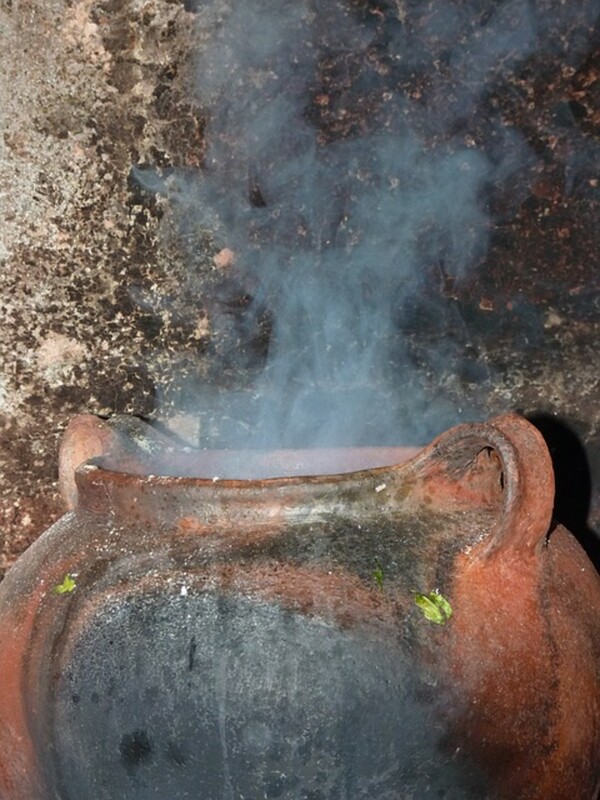 It is believed that the flame, represents the pure spiritual light. A very interesting hub and story of how you got into magic and spells - I never had any knowledge of candles having such power. I'm glad you stopped by. Thanks for commenting.